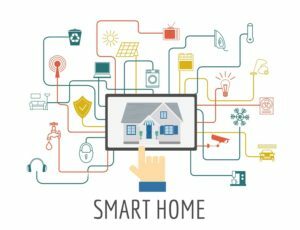 GM Goldman & Associates, Inc. | The Smart Home: What is that? When you’re not home, do you worry if you left the iron on? Or, if you turned the coffee maker off? Did you set the security alarm? So what is a smart home? Smart Home is the term commonly used to define a residence that has appliances, lighting, heating, air conditioning, TVs, computers, entertainment audio & video systems, security, and camera systems that are capable of communicating with one another and can be controlled remotely by a time schedule, from any room in the home, as well as remotely from any location in the world by phone or internet. Speakers that are voice controlled to turn on music, listen to the news or simply ask foolish questions. Cameras to track your home’s exterior even if it’s pitch-black outside. You can control a thermostat from your bed, the airport, anywhere your smartphone has a signal. LED lights let you program color and brightness right from your smartphone. Auto alerts from your security system will immediately go to your smartphone, so you instantly know if there’s a problem at home. Smart homes may make life easier and more convenient. Who wouldn’t love being able to control lighting, entertainment and temperature from their couch? Whether you’re at work or on vacation, a smart home can alert you to what’s going on, and security systems can be built to provide an immense amount of help in an emergency. For example, not only would a resident be woken with notification of a fire alarm, the smart home would also unlock doors, dial the fire department and light the path to safety. 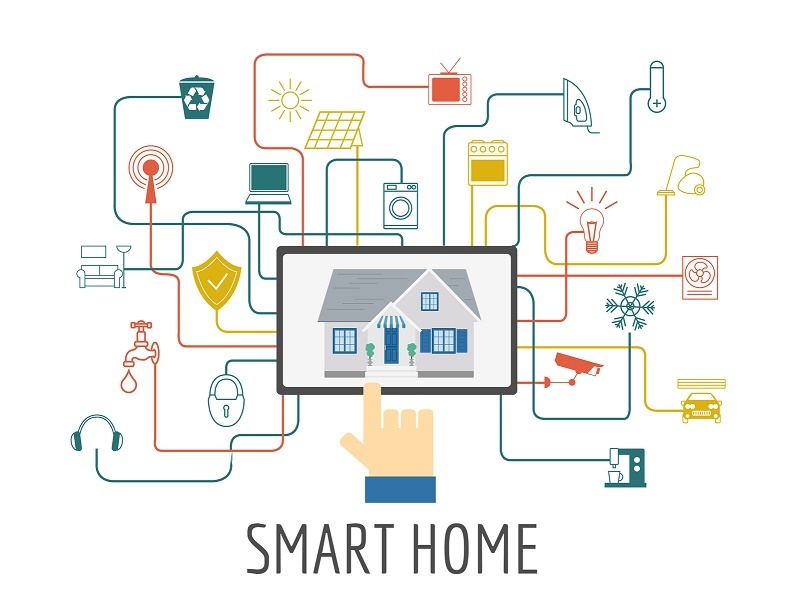 Ready for a smart home? Many of these devices are available online or at local large box hardware stores.